S. Leo Chiang (Director/Producer) is a Taiwan-born, San Francisco-based filmmaker. 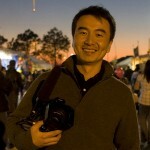 His current documentary, MR. CAO GOES TO WASHINGTON, won the Inspiration Award at the 2012 Full Frame Film Festival. His previous film, the Emmy® Award-nominated A VILLAGE CALLED VERSAILLES, about the transformation of the Vietnamese community in post-Katrina New Orleans, picked up eight film festival awards, aired on PBS’ Independent Lens, and has been acquired by more than 200 universities. His other films include TO YOU SWEETHEART, ALOHA (PBS 2006), ONE + ONE (CINE Golden Eagle 2002), and SAFE JOURNEY. Leo received his MFA in film production from University of Southern California. He lectures in the Social Documentation program at University of California, Santa Cruz. Matt Martin (Editor) is a freelance documentary editor. Matt edited NO IMPACT MAN, which premiered at the 2009 Sundance Film Festival. His other editing credits include UNPRECEDENTED: THE 2000 PRESIDENTIAL ELECTION for Executive Producer Robert Greenwald, episodes of the ACLU FREEDOM FILES, TIME & TIDE: THE ISLANDS OF TUVALU, STRAIGHT ACTING, and NO EXCUSES. Matt’s work has shown theatrically and on PBS, the Discovery Channel, Sundance Channel, and Documentary Channel. He attended Middlebury College and has an M.F.A. in Film Production from the University of Southern California. Brittney Shepherd (Associate Producer) is the co-producer of A FRAGILE TRUST (ITVS), about the Jayson Blair plagiarism scandal at The New York Times, and a co-creator of the alternate reality news game, Decisions on Deadline. She associate produced S. Leo Chiang’s A VILLAGE CALLED VERSAILLES and MR. CAO GOES TO WASHINGTON. 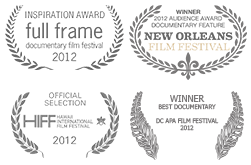 Brittney has produced extensively with the Academy-Award winning director Debra Chasnoff. She has a B.A. in Ethnic Studies from University of California, Berkeley. Eva Moss (Associate Producer) has worked on dozens of social issue documentaries. She was an associate producer for Johnny Symons’ ASK NOT and S. Leo Chiang’s A VILLAGE CALLED VERSAILLES and MR. CAO GOES TO WASHINGTON. She is currently the co-producer of the feature-length documentary, GRACE. Her own production company, Between the Lens, is in development on RED, a whimsical look at redheads around the world. Eva holds a B.A. from Smith College in Film and Theater Studies. Bao Nguyen (Director of Photography) is an emerging filmmaker whose work has played internationally in festivals and museums including MoMA and the Smithsonian. The first feature he produced, ONCE IN A LULLABY, premiered at the 2012 Tribeca Film Festival. He co-produced/DP’ed WHERE HEAVEN MEETS HELL which won the Grand Jury Prize at the LA Asian Pacific Film Festival and will air on PBS in 2013. He earned his BA at NYU and his MFA in Social Documentary Film at SVA.